SAN FRANCISCO -- The attacks on San Francisco and other cities with similar immigration policies began moments after a jury acquitted a Mexican man of killing a woman on a popular pier, some calling for a boycott of the city that fiercely defends its reputation as a refuge for all. U.S. President Donald Trump called the verdict a "complete travesty of justice," and U.S. Attorney General Jeff Sessions demanded cities like San Francisco scrap immigration policies that bar co-operation with federal deportation efforts. Twitter users turned to the hashtags #BoycottSanFrancisco and #kateswall to demand construction of the U.S.-Mexico border wall that Trump has called for. Conservative politicians and celebrities such as former Alaska Gov. Sarah Palin and actor James Woods lambasted the city as unsafe. City officials vowed to stand behind their "sanctuary city" policy. It's what led Jose Ines Garcia Zarate to be released from San Francisco's jail despite a federal request to detain him for deportation several weeks before Kate Steinle was fatally shot in the back in 2015. He had been deported five times and was wanted for a sixth. "San Francisco is and always will be a sanctuary city," said Ellen Canale, a spokeswoman for Mayor Ed Lee. Sanctuary policies improve public safety by allowing immigrants to co-operate with police without fear, said state Sen. Scott Wiener, a Democratic former San Francisco supervisor. "This family has been through hell, but there are people, including our president, who continue to use this tragedy to demonize immigrants and to slander immigrants by suggesting they are all criminals, and that is not true," he said Friday. San Francisco was among the first U.S. cities to establish a sanctuary law in 1989 as part of a national wave of local policies intended to help Central American refugees. Since then, the city consistently has been an early adopter of some of the most immigrant-friendly policies nationwide, and it takes pride in serving as a safe place for religious and gender minorities, non-English speakers and people in the country illegally. Hundreds of other cities have similar immigration policies. A judge did not allow immigration politics into the courtroom for Garcia Zarate's trial. San Francisco Deputy District Attorney Diana Garcia urged jurors to convict Garcia Zarate of first-degree murder, saying he had come to the pier with a gun and a desire to hurt someone. His attorneys argued that he found a gun wrapped in cloth under a chair on the pier and it fired when he picked it up. Jurors rejected charges of murder and involuntary manslaughter but did convict Garcia Zarate of being a felon in possession of a firearm, which carries a maximum sentence of three years in jail. It's likely he will have served long enough behind bars considering his time in custody. U.S. Immigration and Customs Enforcement said it would "ultimately remove" Garcia Zarate from the country. 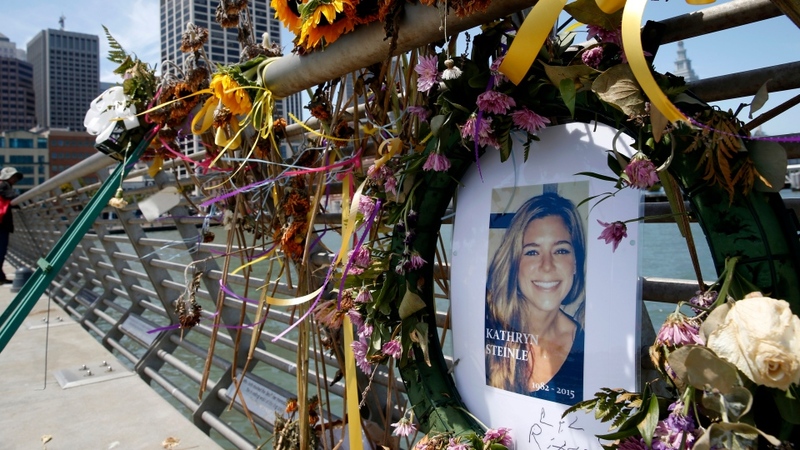 During the 2016 presidential campaign, then-candidate Trump and others pointed to Steinle's death as reasons why the country's immigration laws should be tightened. Trump called the verdict "disgraceful" and posted on Twitter that "the Kate Steinle killer came back and back over the weakly protected Obama border, always committing crimes and being violent, and yet this info was not used in court." "His exoneration is a complete travesty of justice. BUILD THE WALL," Trump tweeted. Garcia Zarate's convictions were immigration and drug-related but he had no record of violence. Former President Barack Obama had kept his Republican predecessor's policy of allowing U.S. immigration officials to ask local police to detain people suspected of living in the country illegally for up to 48 hours. Garcia Zarate had finished a federal prison sentence for illegal re-entry into the United States and had been transferred to San Francisco's jail in March 2015 to face a 20-year-old charge for selling marijuana. The sheriff's department released him a few days after prosecutors dropped the marijuana charge despite a request from federal officials to detain him for deportation. Federal officials got an arrest warrant for Garcia Zarate days after the shooting, which they say was a violation of his supervised release on the illegal re-entry conviction. 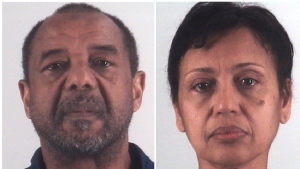 A judge unsealed that warrant Friday. Michael Cardoza, a longtime San Francisco Bay Area lawyer, said the prosecutor overreached in asking for a first-degree murder conviction, which would have meant that Garcia Zarate intended to kill Steinle despite strong evidence that the bullet ricocheted around 90 feet (27 metres) before striking her. Cardoza said a better case could have been made to convince jurors that Garcia Zarate had a "reckless disregard for human life" and to convict him of second-degree murder. 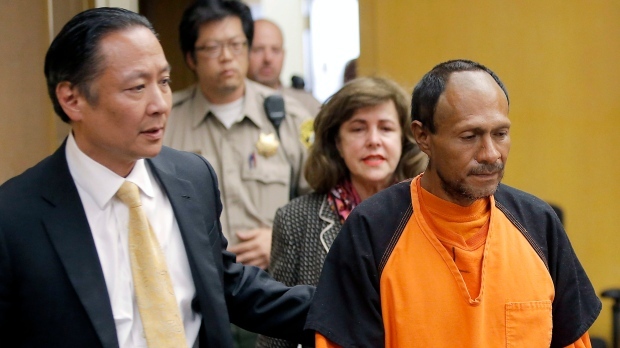 Steinle's father, Jim, told the San Francisco Chronicle that "justice was rendered, but it was not served." "We're just shocked -- saddened and shocked ... that's about it," he said in an interview described as the family's last.